Safety signs are a requirement on construction sites. Jobsites must comply with the OSHA and ANSI sign standards. ANSI, the American National Standards Institute has a set of guidelines for signs such as the sign colors, symbols, and formats of the signs. OSHA has adopted the ANSI standards for signs. 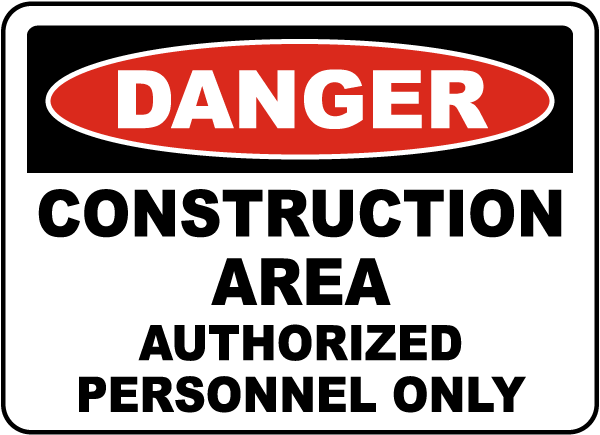 Signs on a construction site should be visible, provide a clear message, and be consistent throughout the entire jobsite. There are various types of safety signs that alert people to different types of hazards and safe practices. Each type has a certain color and purpose. DANGER – A danger sign alerts workers to immediate hazards that have the potential to cause serious injuries or even death. These signs are red with white lettering and are designated for the most serious hazards. WARNING- Warning signs alert workers of conditions that could cause injury or death but are not as severe as hazards that have danger signs. This type of sign is orange with black lettering. 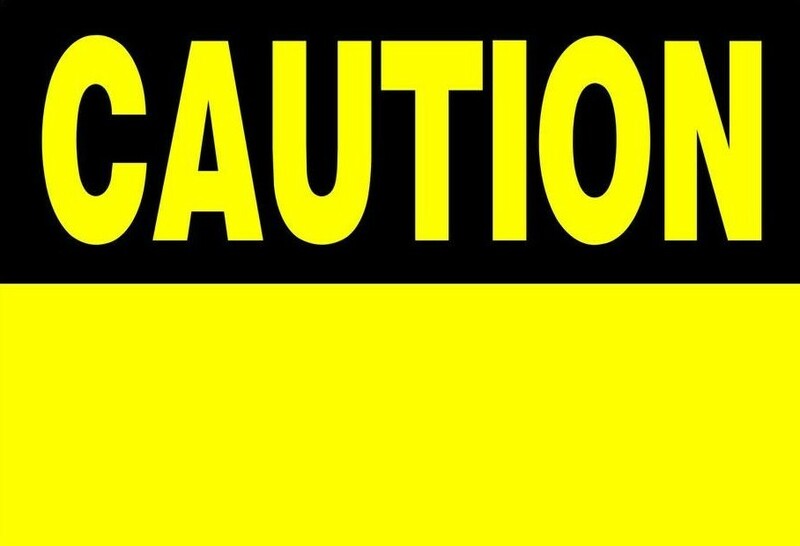 CAUTION- Hazards requiring a caution sign can cause minor or moderate injuries. Caution signs usually caution people about unsafe practices. These signs have a yellow background and white lettering. 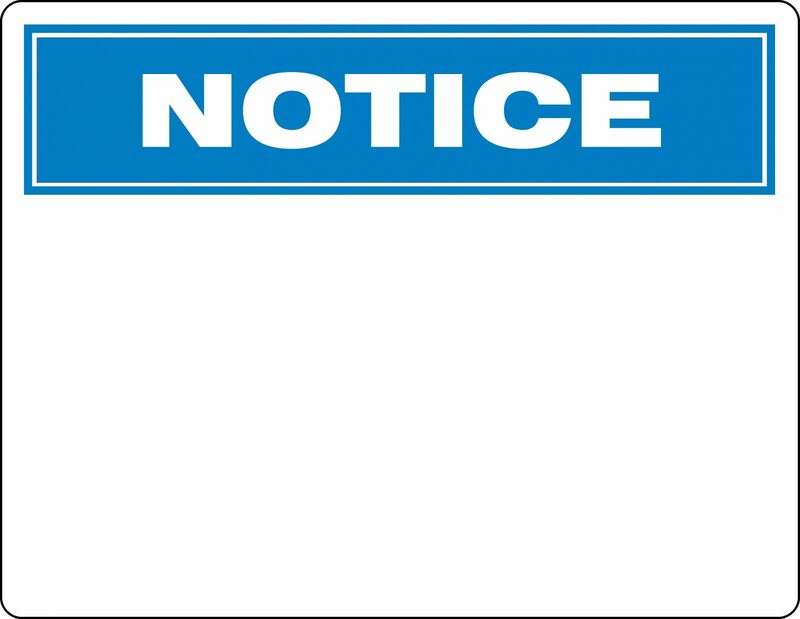 NOTICE – T his type of sign has a blue background with white lettering. Notice signs give information to employees about the area or equipment. Procedures, instructions, rules, and directions are found on notice signs. GENERAL SAFETY – A general safety sign displays broad safety messages related to medical, first aid, housekeeping, and general safety measures. These signs are green with white lettering. Signs are a vital component of a safe workplace. 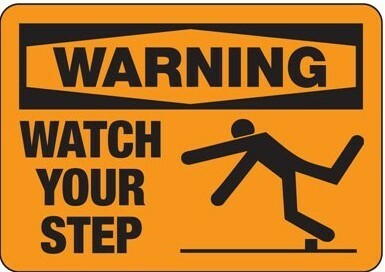 On a construction site, signs can be used to warn of hazards that could cause injuries. When workers are aware of potential injuries, they will be more careful while working and reduce the number of injuries. Signs can also warn workers of potential fire risks and reduce the likelihood that a fire would occur. In addition, signs can improve the efficiency of a workplace by providing direction to workers. Having proper signage will allow you to comply with laws and regulations, preventing you from receiving fines and helping you to avoid expensive lawsuits. At Safety Supplies Unlimited, we can create signs for you that are custom designed for your workplace. We provide fire safety signs, sprinkler signs, building signs, and construction site safety signs. We can make signs of any color, size, or material that you need. Let Safety Supplies Unlimited be your sign supplier. We also sell a wide variety of safety supplies to keep your workers safe. Contact us today to learn more about our safety signs or any of our other products and services. This entry was posted in Safety and tagged Safety Signage, Safety Supplies.